Experience the thrill of in-play betting, completely risk-free. 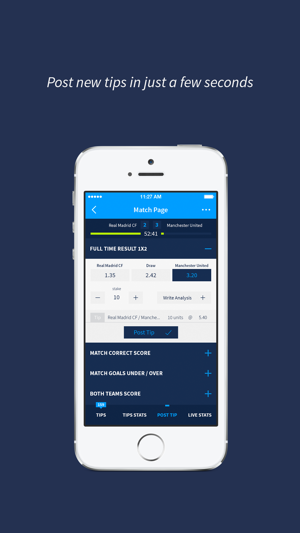 A revolutionary in-play football tips platform that provides you with everything you need to enhance your in-play betting performance. Discover expert in-play betting tips, compete for free and win a share of our incredible weekly cash prizes. - BET LIKE A PRO, IN-PLAY: Find top tipsters and follow their betting predictions. 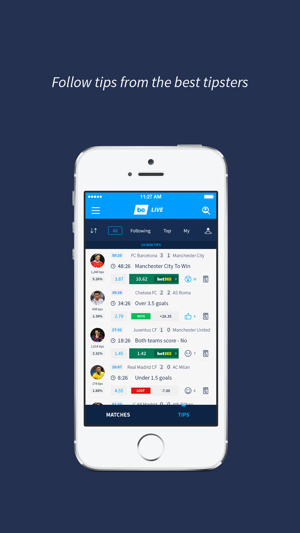 - MAKE LIVE BETTING SOCIAL: See what your friends and professional tipsters are betting on in real time. - FIND TIPS AND PLACE BETS WITH BET365 IN THE APP: Once you have found a tip you like, simply tap the bet365 odds to generate betslip. - MANY MARKETS: Find tips on all your favourite markets. - NOTIFICATIONS: Get push notifications when your favourite tipsters post tips, when goals are scored and when your favourite teams are about to start playing a game. 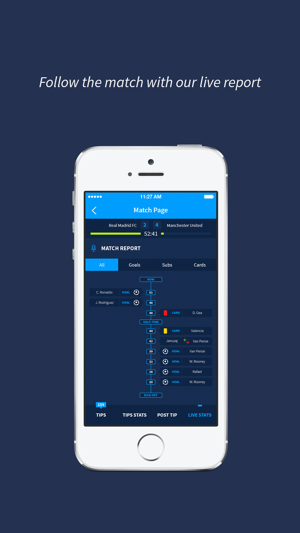 - LIVE MATCH STATS: keep track on live fixtures, so you can make the best in-play betting picks. - POST A TIP IN JUST 2 SECONDS. It takes just 3 taps to post a tip. You can back up your tip with a 160 characters analysis - although this is completely optional. - WIN CASH PRIZES: The top 10 tipsters win a share of €250 every week. - IMPROVE: Track your performance over time. - EARN BADGES: Earn badges for winning streaks, number of tips, yield, profit and competition victories. 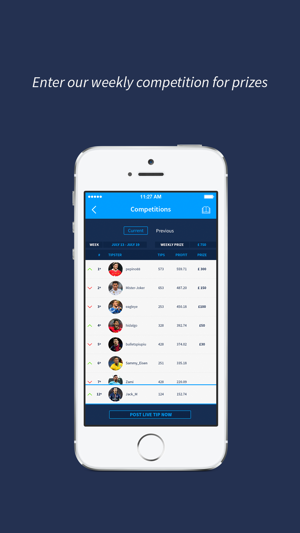 - CHALLENGE: Challenge your friends and compete in the weekly competition. - NOTIFICATIONS: Push notifications and in-app notifications when your tips win or lose. 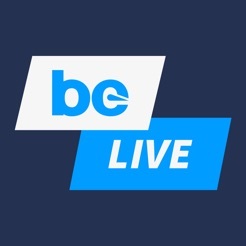 - CUSTOMIZED LIVESCORE: Live score with all your tips, so you can keep track of their status (win/lose/push) while in-play. 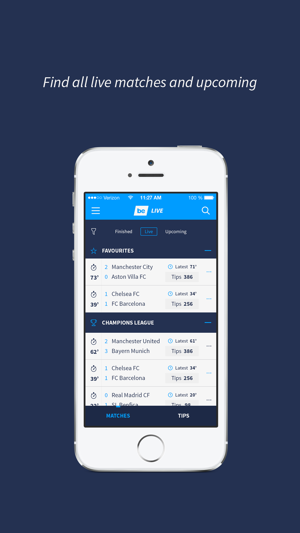 - SYNC WITH BETTINGEXPERT: Log in with your existing bettingexpert account. If you like the app, please leave a review in the app store. Very good job with this update!! !